You will be picked up by complimentary shuttle and taken for assignment of your vehicle for the day. You will be met by a tour co-ordinator for a full orientation of the day's events and activities. It is here where all your questions will be answered before you are on your way. You will be supplied with the a map and driving directions to Grand Canyon and other places of interest. When you hit the road you will pass Boulder City and Lake Mead to Hoover Dam. Drive through a 900-year-old Joshua Tree Forest before turning onto the road to the Grand Canyon West Rim and the lands of the Hualapai Tribe. 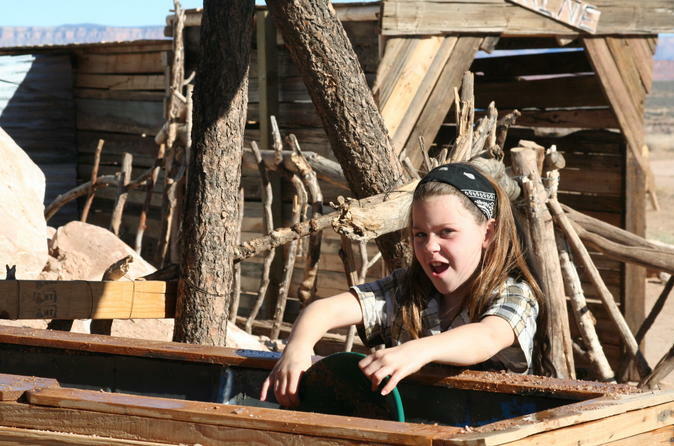 Your day is free to explore before heading to Hualapai Ranch. This is the only place to spend the night at Grand Canyon West. Of the 2,000 daily visitors, there is only overnight accommodation available for 40 people. You won't want to miss this incredible experience! Skywalk/Helicopter/Boat Tour - the Grand Canyon Skywalk, helicopter ride to the bottom of the canyon, pontoon boat ride and helicopter ride back to the rim.